About Us | Federal Accountants & Tax Consultants Inc.
Joe Black purchased Federal Accountants & Tax Consultants Inc. in 1977 for that year’s gross revenue of $4000. 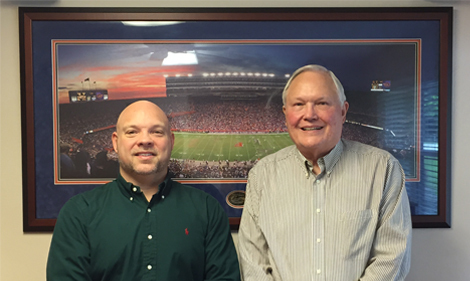 Over the years, he built up the business and in 1989, his son Edward was brought in to help while also attending the University of Florida. In 1990 Federal Accountants & Tax Consultants Inc. became one of the first Gainesville accounting firms to start using electronic tax return filing (E-File). In 1995, Edward graduated from UF’s Fisher school of Accounting with a Bachelor of Science degree in Accounting. In 2002, he received his Enrolled Agents License. These days, the firm has two licensed accountants and a full bookkeeping staff handling close to 1,000 personal and 300 business accounts. Our goal is to work with you to understand what is important to you and to know how to work with tax and accounting laws to get you to where you want to be with your family, your business and your financial security. We know the only way to help you is to listen you and to let you guide the process. Money decisions can be among the most stressful and complicated decisions that families make together and we know how to help get you where you want to be.